Home / Entertainment News / See SHARON’s life, OKOTH OBANDO’s young mpango wa kando who was killed and dumped in the forest (PHOTOs). See SHARON’s life, OKOTH OBANDO’s young mpango wa kando who was killed and dumped in the forest (PHOTOs). 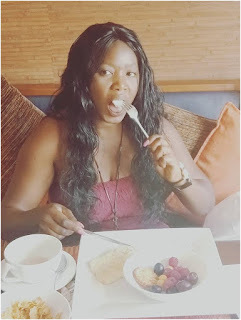 Wednesday, September 5, 2018 - The 2nd year University lady killed by Okoth Obando for trying to blackmail him loved good life. We understand that her flashy life was well known at Rongo University where she was studying. In these photos, you can clearly see that she loved the good life. She used to eat life with a big spoon. May her soul rest in peace and her killers brought to book.